More information on this translation can be found here at Apprising Ministries. Thanks Hank for keeping us up to date on all the valuable resources out there! This entry was posted in Uncategorized and tagged alien contacts, Bible Translations, blog, blogging, Christianity, E.T., extraterrestrials, religion, star trek, star wars. Bookmark the permalink. Wow–a wonderful gift for my granddaughter in a couple of years–her very own E.T. Bible! Bless you guys for this heads up! I liked that, but I wish he hadn’t thrown Eugene Peterson in there. Regardless of how you feel about The Message (which is NOT a paraphrase, it is a translation), Peterson has written some excellent books and some very good meditations on the Psalms. I wholly agree with Greg. 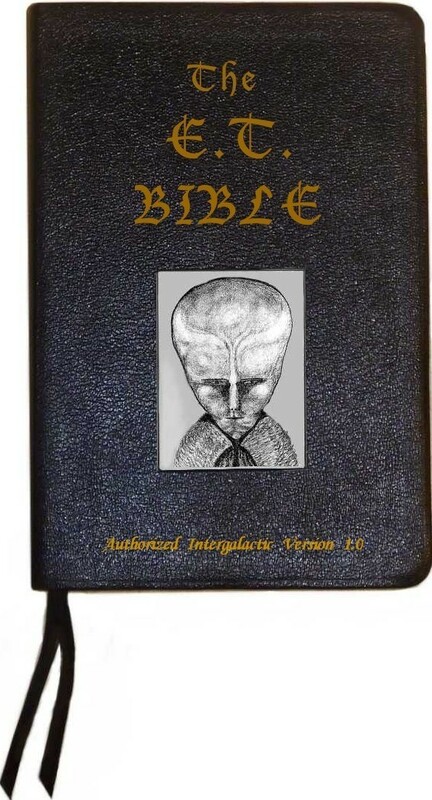 We have gender neurtral Bibles, Bibles with entire chapters blacked out among others. A Bible for every cause and taste. There are literally hundreds of Bible translations, some highly accurate, others full of problems. Since we have none of the original manuscripts, EVERY one of them is either a translation or transcription. It is God’s Word that is the only absolute, unchanging TRUTH. Bible reading is of little benefit. Bible STUDY is essential. And it is not the written words on the pages, but how God speaks to each of us via those words that exposes His Truth to us and His plan for each of us. This was actually hilarious. The problem is that this type of tripe is what God is being made out to be in today’s world. Anything goes, find God behind whatever bush you are looking into…ahhhh there you are god, in my french fries. The gospel of the world is being blended with the Gospel of Christ and the world is buying this delusion. Even in the church itself there are far too many lies being taught as the “truth”. Not “anything” goes…only the Word of God is Truth…nothing more, nothing less. Father I pray you would open the eyes of those who believe a false gospel, open their eyes to the Truth, to the Gospel of Jesus Christ. Father take away the imposed blindness of these people by the false witness of the world and it’s leader the devil. Lead these blind and misguided people to the One true God, to the Gospel of Grace. Amen to that Greg… Amen!